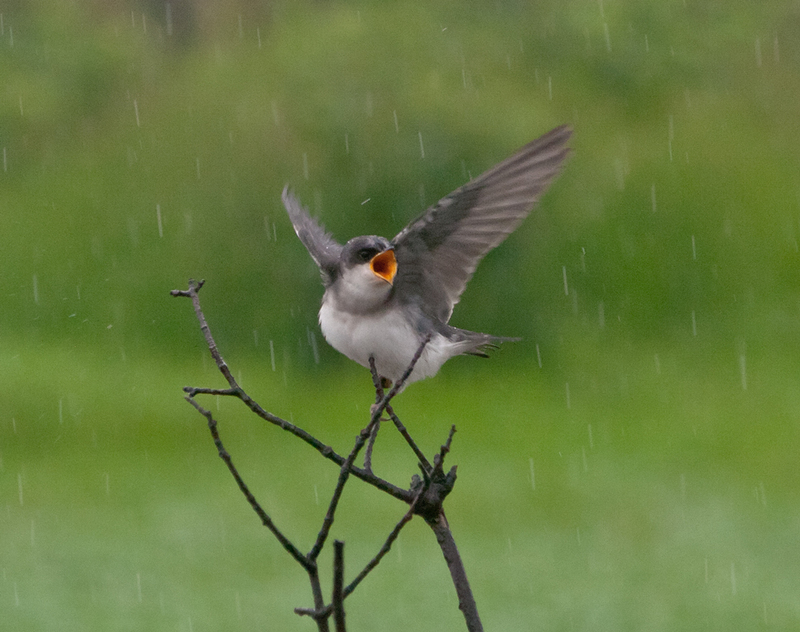 Thanks to Tropical Storm Andrea, it rained all day this past Friday, and this juvenile Tree Swallow (Tachycineta bicolor) was wet and hungry and decided to express its unhappiness in a very vocal way. Shooting from under an umbrella, I was able to capture this moment of pique. Swallows eat flying insects and I have to believe that the rainy weather made foraging tough for them. Fortunately, the continuous rain last for only a single day and this little bird probably was able to survive its day of reduced rations. What happened to this swallow to cause it to be so drab looking? That was my first thought when I looked at these images. 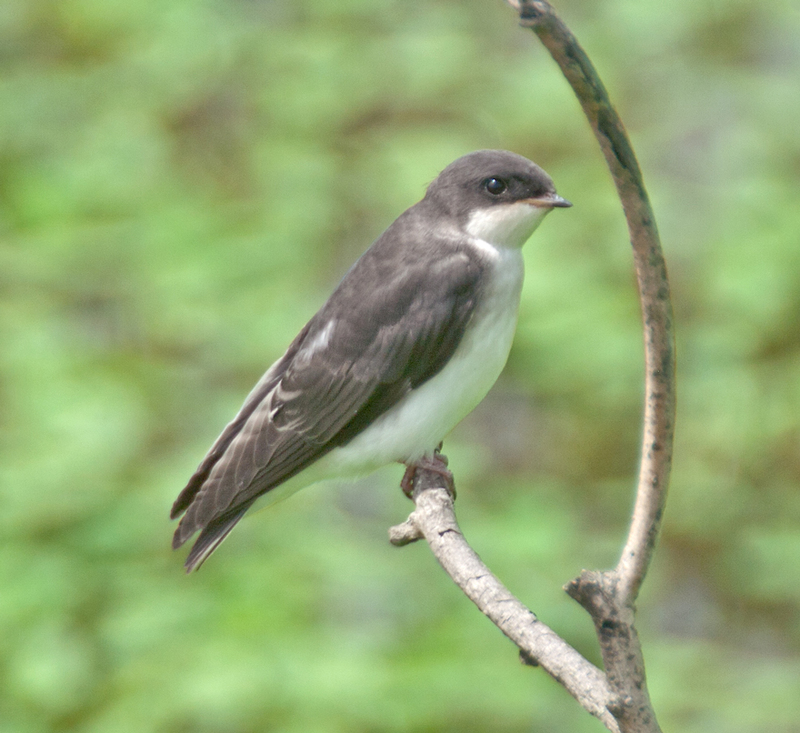 The bird was perched at a location where I had previously seen a lot of Barn Swallows (Hirundo rustica), but it looked more like a Tree Swallow (Tachycineta bicolor). 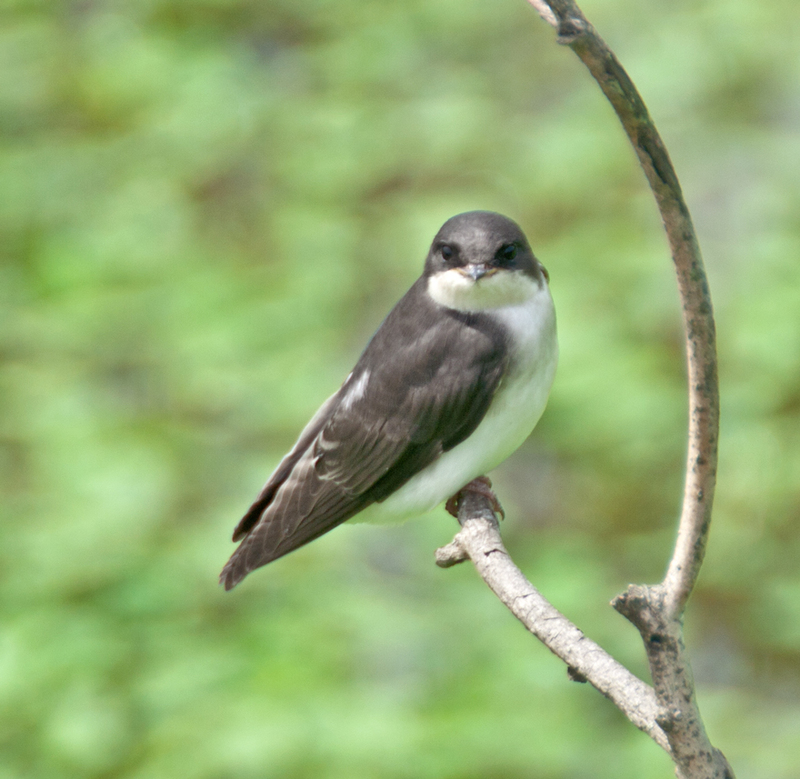 However, all of the Tree Swallows that I have seen before have been a shiny bluish-green in color. Was this a different kind of sparrow? It turns out that the answer to my mini-mystery is quite simple—juvenile Tree Sparrows are not the same color as the adults. I guess that I had been assuming that the young Tree Sparrows would be miniature versions of their parents. The little swallow seemed quite content to pose for me and allowed me to get profile shots and head-on shots without any instructions. Perhaps a modeling career is in its future.